When you purchase a new Powell flute or piccolo, it comes with a "welcome pamphlet" explaining the warranty and offering basic care tips. 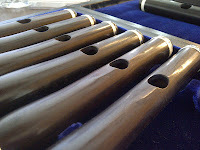 We took a look at the oiling section in particular, because we thought about headjoints on wooden flutes and piccolos. 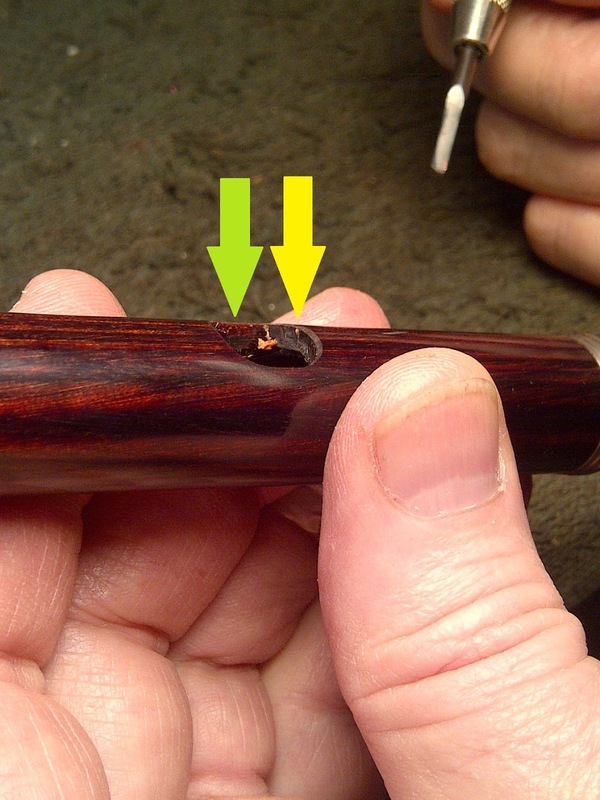 After all the air going through the headjoint (and then condensing into water), should you oil the inside bore of the headjoint? Does it get dry? Only Powell Flutes or an authorized Powell repair technician should undertake the task of applying oil to the bore of a body or footjoint. Your wooden headjoint may benefit from an occasional application of almond oil to the bore and embouchure hole after it is at least one year old. Use only pure pressed almond oil. Use extreme caution in wiping around the embouchure hole, as the delicate edges of the hole might become damaged. After it is applied, the oil must be wiped thoroughly but gently. 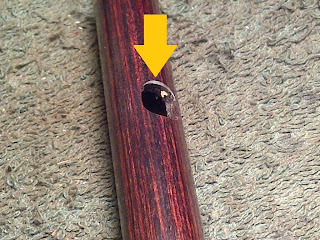 So, the recommendation is to have Powell or a repair technician apply oil to the bore of the body -- but what about the headjoint? We spoke with our Powell repair technician and our wood specialist about this topic. 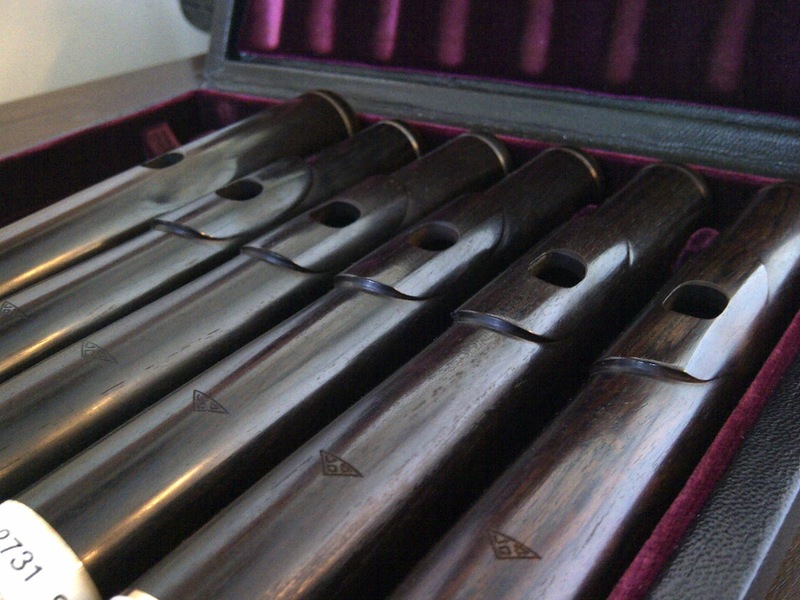 Our technician told us that the bodies and headjoints of wooden flutes and piccolos get oiled as needed when you send the instruments in for a COA. But is it really necessary to resist the urge to do it yourself? Well, our wood specialist shed some light on why you should leave it to the pros, even in the case of the headjoint... You see, there are some situations that cannot be seen on the outside but are nevertheless very problematic. If you attempt to oil wooden headjoints yourself, no matter how careful you may be, there are still some problems that might arise. If too much oil is applied, it can accumulate and dry over time. 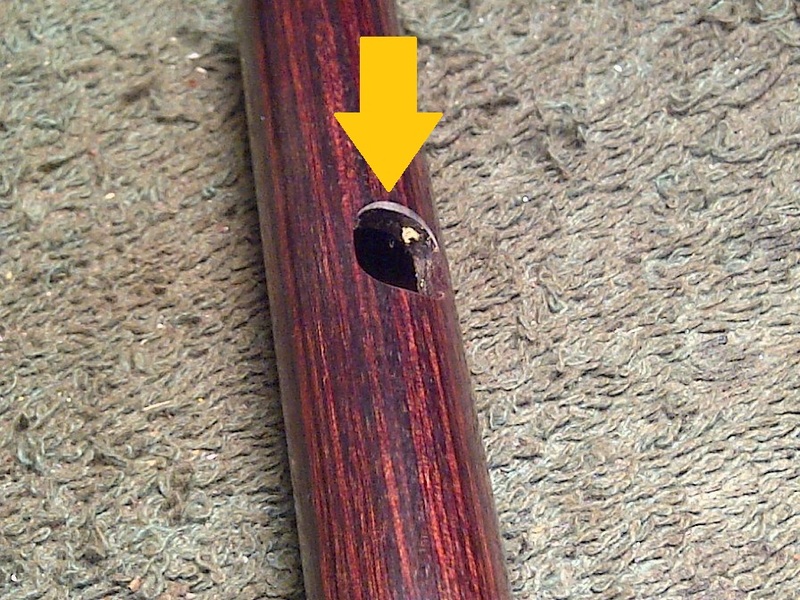 When this happens, it often dries around the inside cork of the headjoint and around the embouchure hole. In the case of the cork, dried oil deposits can cause the cork to get stuck. Trying to remove it can cause all kinds of problems -- including cracks in some cases. The dried deposits around the inside of the embouchure hole add material to the hole, often times causing changes in response. In this case, you may find that the instrument is difficult to play because of the buildup inside the hole. Also, removing the oil buildup inside the embouchure hole, if not done properly, can cause damage to the undercutting and edges of the hole. So, even though it may appear easy enough to apply oil to your headjoint, well, now it 100% clear to us that it is best to leave headjoint oiling to the pros. Even the best intentions with those other than technicians can lead to unintentional damage. If you think your headjoint is looking a bit dry, consult Powell or your authorized Powell repair technician. It will make you and your headjoint happy for years to come! 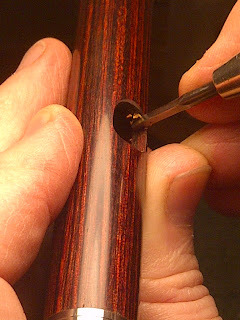 Removing oil residue from inside embouchure hole. 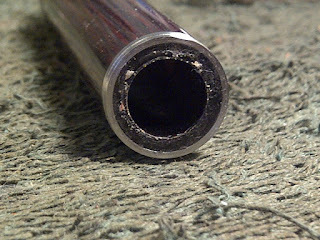 There is a white film around the inside of the embouchure hole -- this film is oil residue. The yellow arrow points to it. After removing residue, you can see a difference. Green arrow points to the clean side, yellow arrow points to the side with oily "film" of residue. Too much oil can leak past the headjoint cork assembly, and the cork becomes stuck. The cork assembly was very difficult to remove here, and we see even more oil residue.